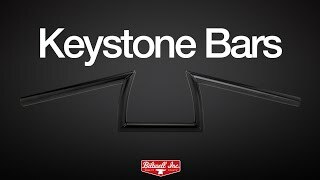 Keystone Handlebars are one of the original Biltwell products and their popularity has stood the test of time. 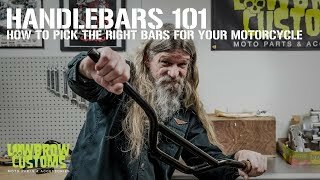 At home on a mild custom moto or full chopper, Keystone bars offer comfortable ergonmoics paired with killer style. Fantastic bars. Work very well. Just the perfect mixture of cool and function!